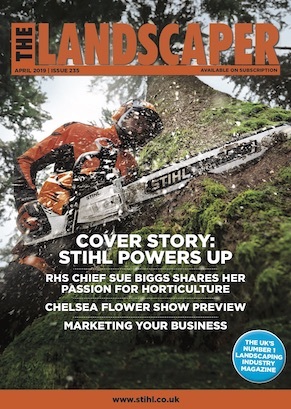 Arborists have a treat in store this May when the STHIL MS 500i chainsaw weighing just 6.2kg comes to market. 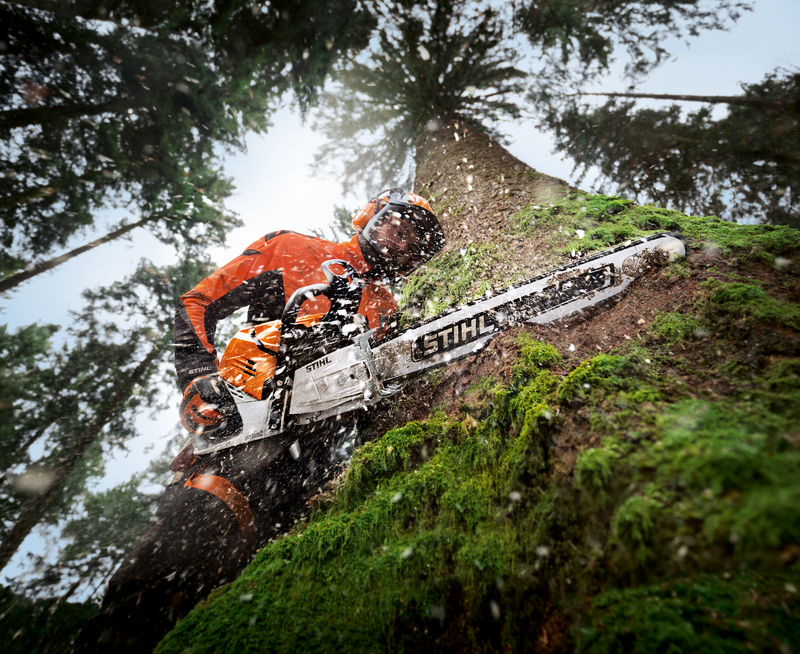 The world’s first chainsaw with electronically controlled fuel injection and a never-before achieved power-to-weight ratio, not only provides the chainsaw of the future with incredible torque, but also ensures rapid acceleration of the saw chain from 0 to 100 km/h in just 0.25 seconds. 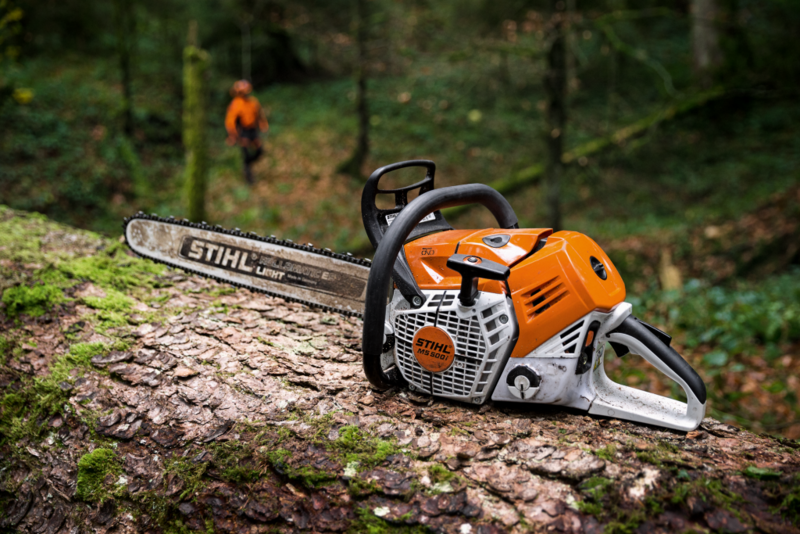 Thanks to the intelligent lightweight design, the MS 500i is also outstanding with the best ever power-to-weight ratio – 1.24 kilograms per kilowatt, an exemplarily low value never achieved before by series-manufactured chainsaws. 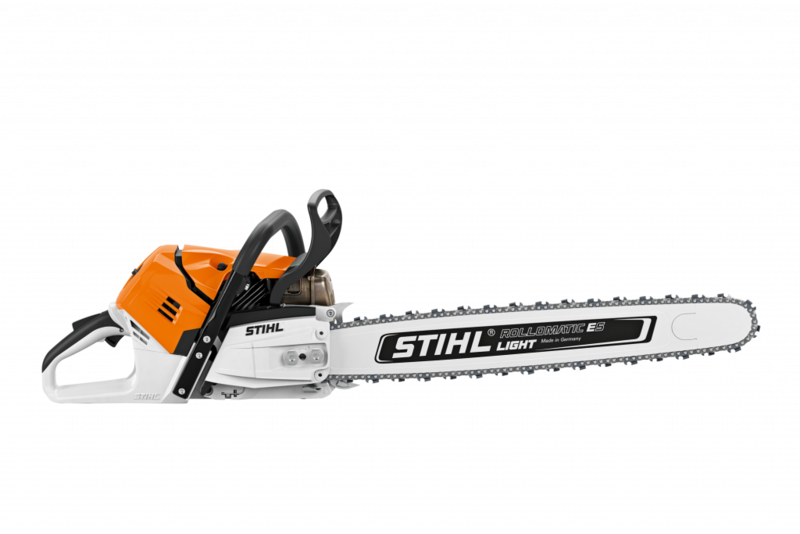 Although light in weight, its performance is class leading, with 5.0 kW/ 6.8 hp, meaning this this chainsaw is suited to felling large stands and timber harvesting. Together with the many additional design optimisations, there is a substantial increase in operator comfort. Low vibration and the reduction of gyroscopic forces provides the 80 cm³-class high-performance professional saw with dynamic manoeuvrability, which is a particular advantage during limbing. This makes the professional big timber harvester easy to handle in all disciplines – from felling to cutting timber to length. The machine has exceptional starting behaviour and provides optimum engine power right from startup. The 80 cc 2-Mix engine does not need a carburettor, since the fuel metering is done using a sensor, and automatically adapts to the different operating conditions, no matter what the altitude and ambient temperature. The MS 500i is available with a choice of 20” or 25” ES light bar, keeping the overall weight of the saw to a minimum and optimising its balance. The innovative flywheel with a low centre of gravity and lower weight reduces the gyroscopic forces that arise during operation. With the low overall weight, thisis a particular advantage for limbing, making guiding the MS 500i along the trunk while snedding easy. This is also supported by the new bumper spike geometry. The raised plunge bar on the fan housing – parallel to the axis of symmetry of the guide bar – makes directional control and tool guidance easier when plunge cutting. Captive nuts on the chain sprocket cover make changing the chain straightforward. Professional big timber harvesting – from felling through cutting to length to limbing – is a simple task with the new professional saw. In pursuit of this goal, redesigned cylinders, slimmer chain sprocket covers and consistent changes of material for other components, in the engine units in particular, as well as the development of lightweight guide bars have enabled substantial weight savings – naturally without compromising on ruggedness or service life. The result is lower system weight and easier handling.